Eddie's earliest claim to fame is he and Kim Wilde were born in the same hospital a few weeks apart. He got the bug for music after using his uncle's reel to reel tape recorder and got interested in radio after getting a radio/cassette player for Christmas. Eddie began his radio days here at Radio Hillingdon back in the late 70's and even spent some time at a radio station in a biscuit factory. His first radio show on commercial radio was at Radio Trent in Nottingham. 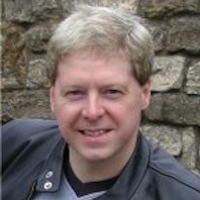 Eddie was among the original line-up for the commercial station Lincs FM when the station came on air in 1992 presenting the afternoon show for 15 years. These days he's group head of music for the Lincs FM Group and presents our Sunday Collection. He has a wife and 2 children, James and Sarah, plus a large record collection.